Established in 2011, IIM Kashipur was the first among new IIMs to have its own permanent campus of 200 acres. The campus is situated in the peaceful and serene area of Uttarakhand. The primary focus of every institute is the academics. But here extracurricular activities also play major part in developing business professionals. 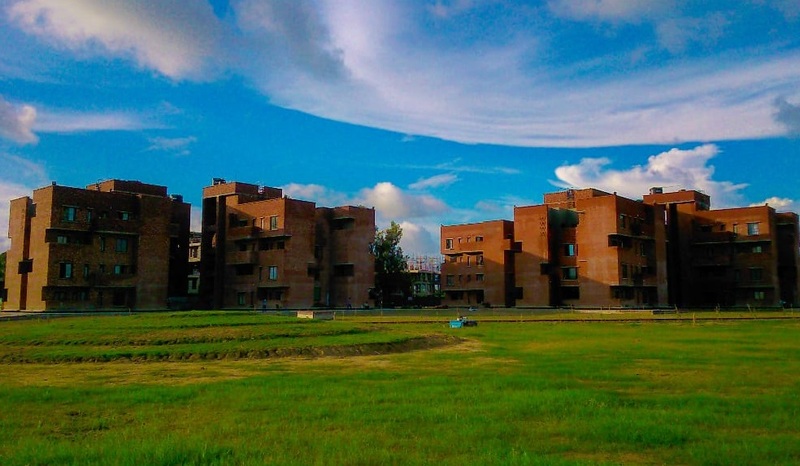 IIM Kashipur has 6 Academic Clubs, 5 Non Academic Clubs, 9 committees, and 3 Cells and all of these are student driven. Apart from that, the institute has rigorous learning standards and high expectations from the students. The institute takes care of the other needs of students like healthy food, laundry, cleanliness, etc., so that students don’t get distracted from their studies. The Post Graduate Program is fully residential and the hostels provided by the institute have world-class facilities. Here, the hostels have radiant cooling system which gives students to cope up with the heat of Kashipur. Also, for every 6 students, there is a washing machine, microwave oven, and a fridge installed in hostels. The calmness and the beauty of the campus reduce the mental stress of students going through the academic rigor. There is a dedicated cycling and biker’s club which organizes a road trip in free time to explore the beauty of Uttarakhand. Also, students can be seen playing games like football, volleyball, cricket, frisbie, etc to have fun and to make work life balanced. Everybody knows that the most of the places in India are not safe for girls, but the institute has done its best to provide safest environment to the female candidates. There is no place for moral policing and female students have all the rights here. We at IIM Kashipur believe in equality. The batch of students hers is a mix of fresher’s and students with work experience which helps students to learn from each other. There is a quote “Early to bed and early to rise makes a man healthy, wealthy and wise” and every parent wants their children to follow it. But the actual demon inside the student wakes up at night. After the lectures and other stuffs, students’ get free time during night and that is the time they can utilize by learning from other students. Discussion sessions at night help students to come up with new ideas, plans and strategies to solve problems. But with empty tummy and no coffee, people feel less energetic which limits their thought process. To take care of this the institute has two canteens which stay open till 4 o’clock in the morning and they never compromise over quality. The faculties here are highly skilled and because of their efforts IIM Kashipur has created many business professionals and will continue to create highly skilled business professionals in future. I would like to work with Hindalco Industries Limited as I’ve a work experience of 41 months in operations. Before joining IIM Kashipur, I was working with the manufacturing unit of Castex Technologies Limited where I learnt the basic knowledge of production with concepts of, Lean Manufacturing, Six Sigma, Total Productive Maintenance (TPM), 5-S, Continuous Improvement (Kaizen), etc., which will help me to understand the culture of Hindalco Industries. Also the learning I received during my under-graduation in Manufacturing Engineering will help me to build myself and the company by applying both engineering and managerial skills.